Many of us have a fish pond in our backyard. Some of us are raising fish in them for ornamental purposes and many of us also raise fish for personal consumption or for profit. If you have a pond in your backyard and wondering if what type of fish to rise, we have some suggestions for you. If you don’t have a fish pond in your backyard, you should consider some of the benefits of building a backyard fish pond. The fish you choose to raise would depend on your needs and also your area and pond size. Some fish can grow really large and also in large numbers, and so, you will need to consider your pond size. You also need to consider your climate. Some fish do well in warm weather and others do not. 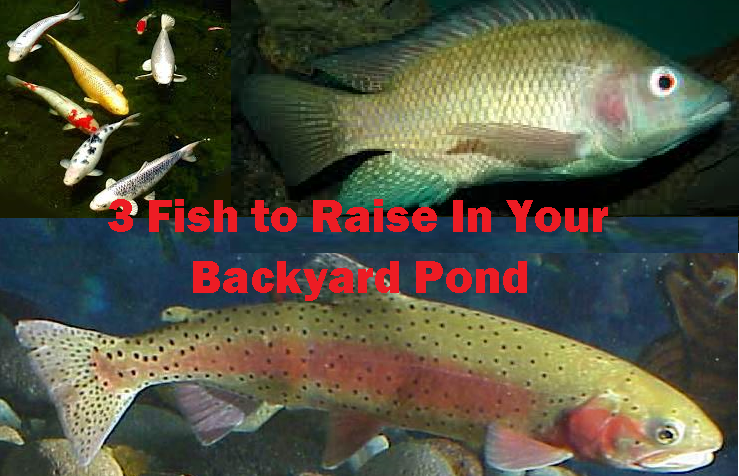 Raising fish in your backyard pond can be a really rewarding experience. A fish pond in your backyard garden would dramatically change the feel of your garden. It would be a relaxing place where your whole family could gather and have some quality time. Backyard fish farming is also one of the solutions for producing your own organic food for survival, which is high in nutritional value. It could also become a way to generate a steady income. Raising tilapia in your backyard pond is the easiest because they can survive in almost any kind of weather conditions. They are also available quite easily through local fisheries and hatcheries. Look for online resource resources to find a hatchery near you. 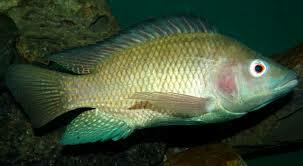 Environment: Most Tilapia prefer temperatures between 77 to 86’F (25-30’C). They will not thrive at lower temperatures, so you’ll need water heater in cooler climates. Water quality: Your regular municipal water supply will do just fine. They grow well up to salinity of 16 to 20 parts per thousand (seawater is 35 ppt). Salt can be added to discourage pathogens and pests. Feeding: Tilapia will eat a wide variety of food ranging from plant based food to insects. Natural blue green algae and Plankton can provide food for them. “Supplement feeds with greens, duckweed, flax, wheat germ, fine rice bran, bread crumbs, eggs, earthworms, grubs, termites, and others at an initial rate of 5% of the total body weight of the fish. Avoid feeding more than the fish will eat in one session.” – Tilapia Raising, Tilapia freshwater fishpond, Backyard Tilapia. Trout is a tasty fish that have a great food conversion ratio and they grow fast, which is also fun to watch. They do well in colder weather, so colder regions are perfect for them. Raising trout in a small pond has many benefits. Feeding trout: Feeding trout can be a difficult job. Commercial floating pelleted food is best for them when you are raising trout in your backyard pond. They feed by vision, and like to feed early in the morning or late in the afternoon, at dusk till dark, so keeping your water clean is very important. Koi is a spectacular fish that come in a variety of colors. They are ideal for your backyard pond, can be raised as ornamental fish or for food. They are highly resilient and can survive the summer heat and severe winter weathers, even when the pond is frozen. Koi in your pond can grow quite large, so consider digging a large pond because you don’t want to overcrowd them when they grow large. Environment: Koi do well in a wide range of temperature, even when the pond is frozen. However, you need to keep your water clean, fresh, and well circulated. It’s also a good idea to have a water fountain or pump for aerostation. Make sure your pond is more than 3 feet deep or it will freeze entirely during the winter. Feeding Koi: Koi are omnivorous. They will eat a variety of different fish feed, bugs and insects, and floating fish feed that you can buy from commercial feed supply stores or at a pet store. They will also eat from the surface, the eggs of insects, larvae and algae. They can also eat vegetables, cereal, and fruits. Koi can be trained to eat out of your hands, so you can build a relationship with your fish as you feed them. An ecologically balanced fishpond does not need extra feeding for the fish. You will just have to feed them occasionally. Hope you will enjoy raising these fish in your backyard pond. Please put down your thoughts in the comment box. It would inspire us in our future blogs. We’d also appreciate your comments on our Facebook page. To learn more about sustainable aquaculture please call our office at: 303-495-3705: or click here to book a meeting. Tilapia Raising, Tilapia freshwater fishpond, Backyard Tilapia. I have 3 fresh water ponds; 4,6 and 19 acres for total of 29 acres in a property of 83 acres in Pocomoke Maryland. It should be good for fish farmers to lease this place. We have koi but the are hard to take care of them they need a big pond; lots of food, and other fishes. I live in Romania and was looking forward to starting a fish farming business here and i am looking for advice on how to go about it.What species would be good for the Eastern European market.Any advice please? Your article about water features for water gardens is really helpful. I am planning to give my garden a makeover and add a small pond in it. Hi! 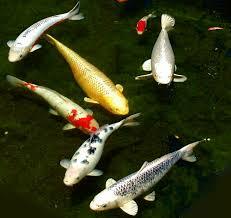 I am very happy for your information on breeding KoI fish. I Would like to start fish breeds. Please keeps giving me more information. Please,can I raise any other fish in the same pond with tilapia? If yes, which are some of them?